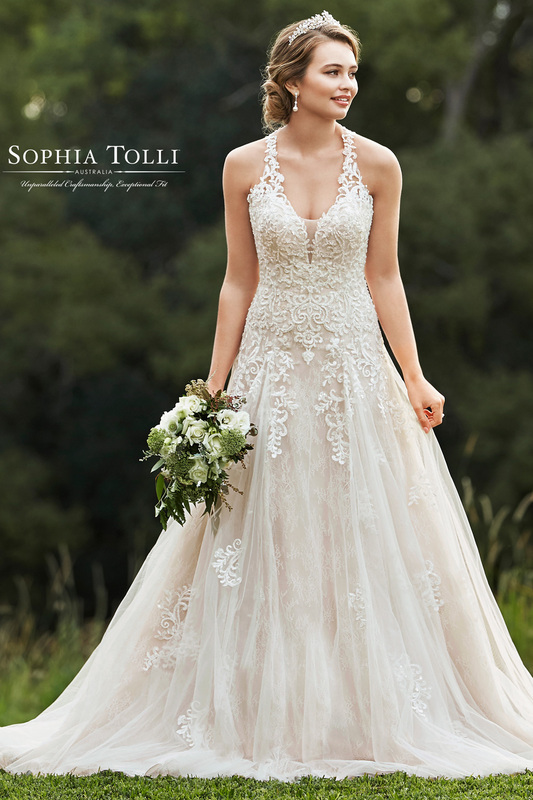 Oh-so-dreamy in misty tulle and allover lace, Katelyn is a soft and romantic number that’s sure to wow on your big day. 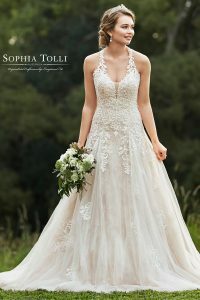 An A-line silhouette with a deep scoop neckline and plunging sheer peekaboo, the bodice is richly adorned with beaded lace appliqués which softly trail down the tulle skirt. 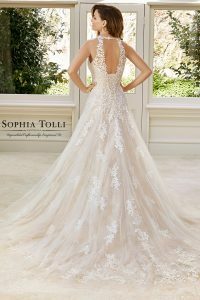 Sheer lace straps clasp behind the neck for a square keyhole effect, finished with a corset back closure and chapel train. Available with zipper back closure with diamante buttons as Y11963ZB.